Design combining genuine leather with fine texture that highlights black chrome. By adopting a hard polycarbonate material on the outside, it adopts soft cushioning TPU on the inside, protecting the iPhone from various scratches and shocks. 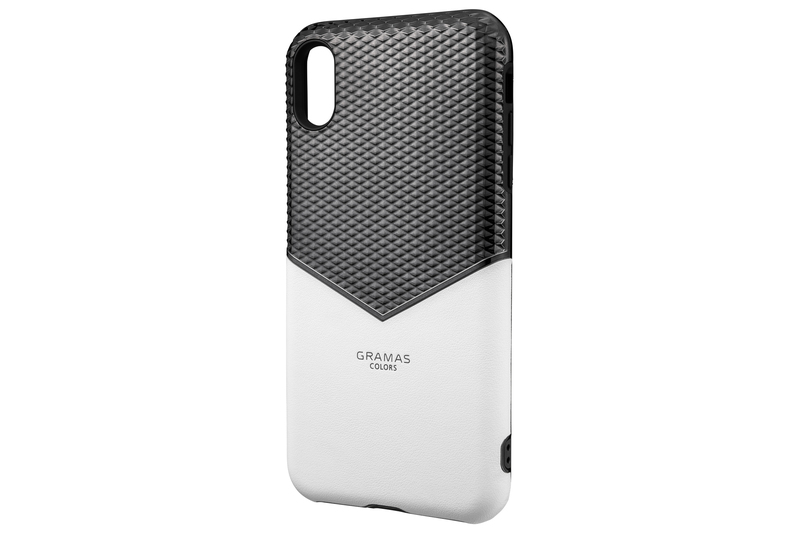 Because the inner material that comes in contact with the iPhone is soft, it prevents scratches when removing the case. Clear the fall test of the standard established by the US Department of Defense, MIL-STD-810G, Method 516.6 Procedure IV. Pocket for storing IC card. Just by holding the IC card in each case, you can settle in automatic ticket gates, convenience stores, and eating and drinking establishments. One original magnetic shield card is attached and it prevents radio interference with iPhone. On the lower right side of the case body, with a convenient strap hole. Because the interior TPU stretches and contracts better, it gets easier to grip. Because it is a shell (back) type, there is no flap and you can immediately access the iPhone. Wireless charging is possible with the case attached.